Volney Elementary School held its annual Game Day on June 6. 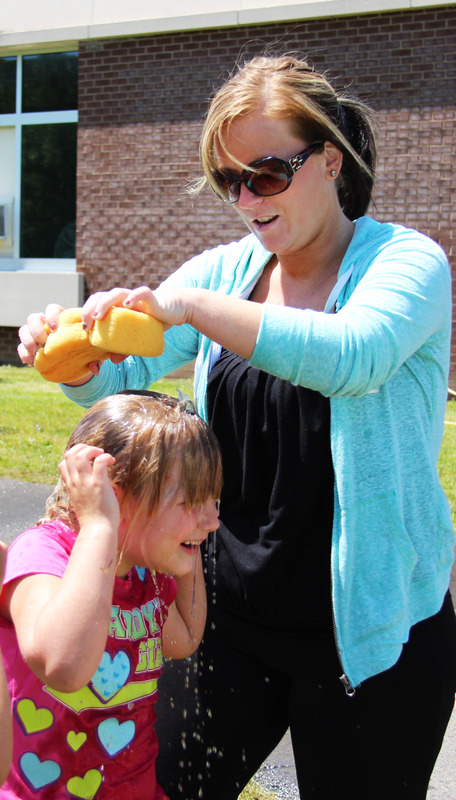 Kindergartener Aubree Taber gets soaked by parent volunteer Melinda Wise following a water relay at Volney’s Game Day. 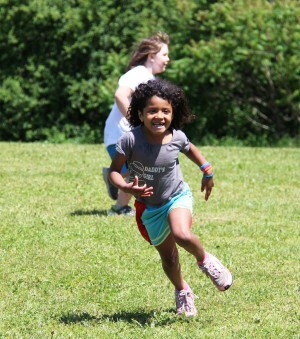 Other activities included volleyball, jump rope and scooter races and parachute games. 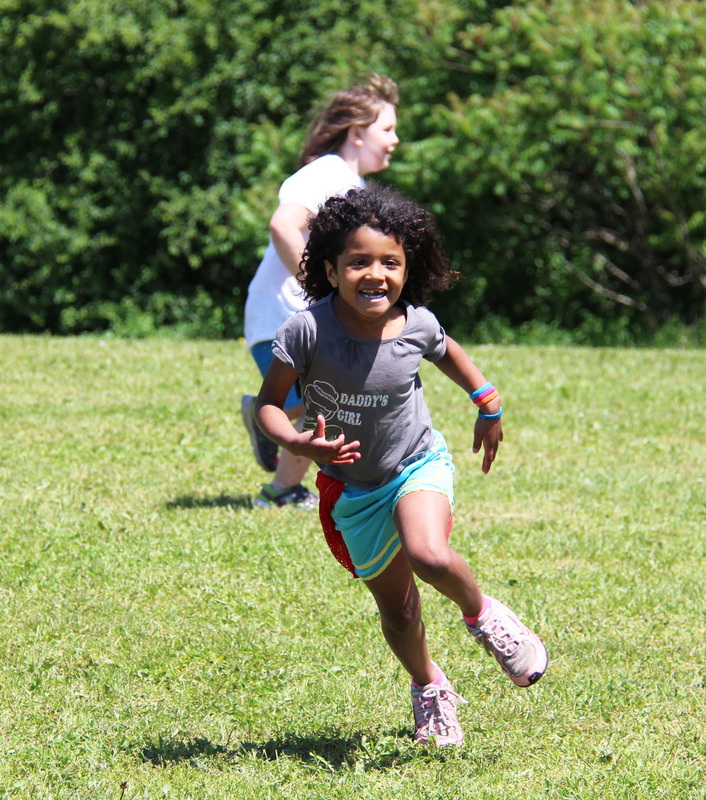 olange Catano-Matip (front) and Alyson Sheffield (back) of Kathleen DeLisle’s class run like the wind during a fast-paced game of steal the pinnie. Game Day at Volney Elementary school is an annual event and features a variety of fun outdoor activities for students to participate in. 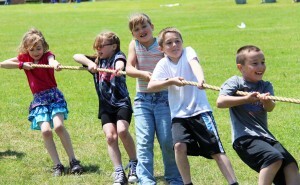 Students at Volney Elementary play tug of war during the school’s recent Game Day. Second graders (left to right) Alyssa Sawyer, Ellie Parkhurst, Layne Osborn, Parker Ellis and Nathan Hutchinson of Rauri Downes’ class tug with all their might to win against the opposing team.